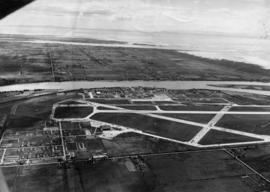 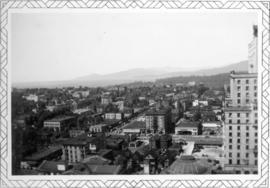 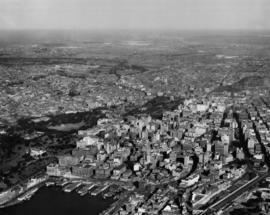 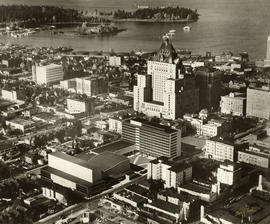 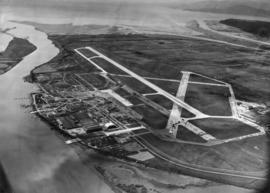 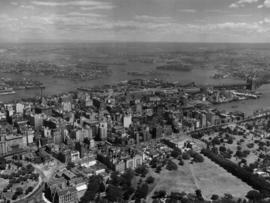 Item is a photograph showing downtown and Vancouver Harbour with a partial view of Stanley Park. 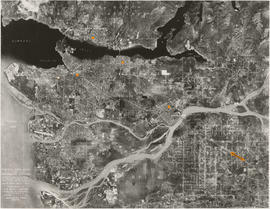 Map is an aerial photograph of the Greater Vancouver area. 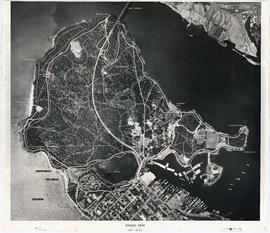 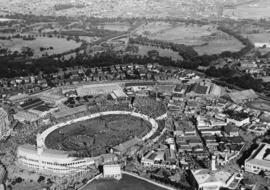 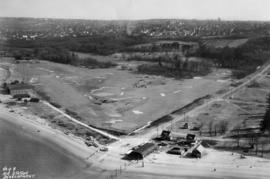 Item is a map in the form of an aerial photograph which has been annotated to show landmarks, tourist sites and trails in Stanley Park. 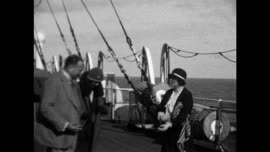 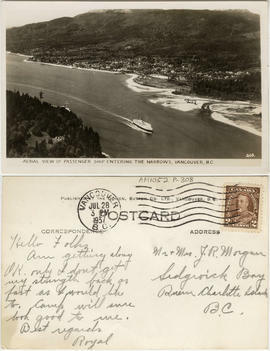 Aerial view of passenger ship entering the Narrows, Vancouver, B.C. 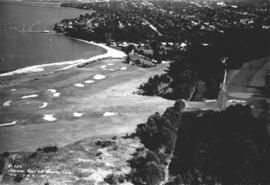 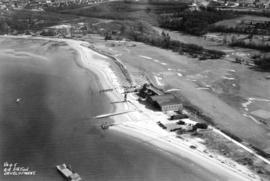 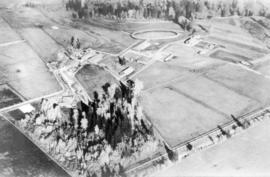 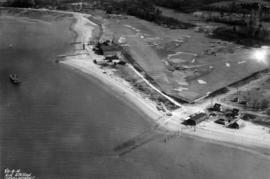 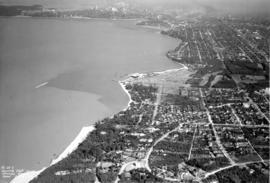 Aerial view of swimming pool, Kitsilano Beach, Vancouver, B.C. 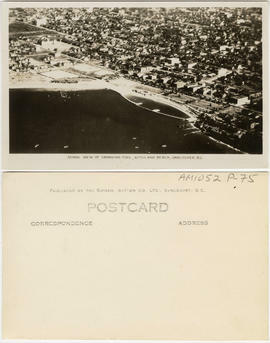 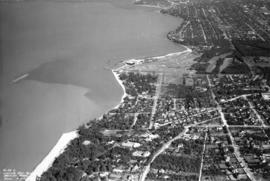 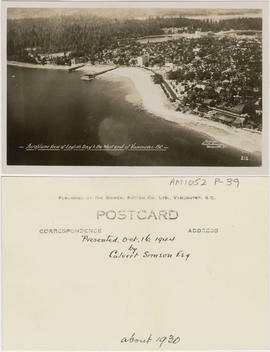 Postcard shows aerial view of Kitsilano Beach and pool as well as the neighborhood of Kitsilano. 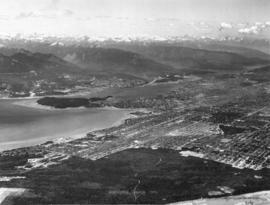 Aeroplane view of English Bay & the West End of Vancouver, B.C.